WILLIAMSPORT, Pa. – After tying a school record and becoming the first player in school history to post more than 300 all-purpose yards in a game, senior running back Craig Needhammer (Lansdale, Pa./North Penn) has earned his third career Middle Atlantic Conference Offensive Player of the Week award, the conference office in Annville, Pa., announced on Sunday, Nov. 2. Needhammer accumulated 304 all-purpose yards against the Cougars, notching a career-high 239 yards rushing, three yards receiving and 62 yards on kick returns to lead the team in a 28-14 win over Misericordia University. The 239 yards rushing are the third-highest total in school history, behind only two performances from Tim Deasey in 2001. 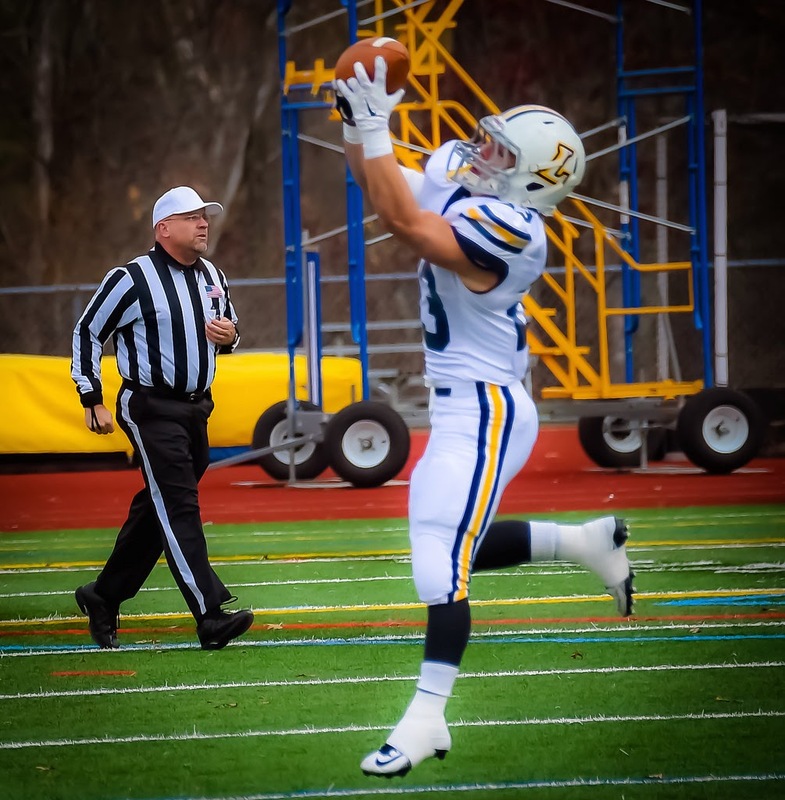 Along the way, Needhammer moved within 285 yards of the school's all-time rushing record of 3,665 yards set by Josh Kleingelter (2007-10) and the 200-yard performance helped him tie Brian Thompson's school record of 15 100-yard rushing games set from 1995-98. Needhammer also scored his 10thrushing touchdown of the season, becoming just the third player in program history to notch 10 rushing touchdowns in back-to-back seasons. The award is the third in Needhammer’s career, as he also earned it on Oct. 6, 2013 after a 144-yard game against 16th-ranked Delaware Valley and on Nov. 4, 2012 after rushing for 127 yards against Stevenson. Needhammer is the second Warrior to earn the conference’s offensive player of the week award this year, joining senior quarterback Tyler Jenny (Glasgow, Pa./Glendale), who picked it up after the team’s 26-0 win over Albright.